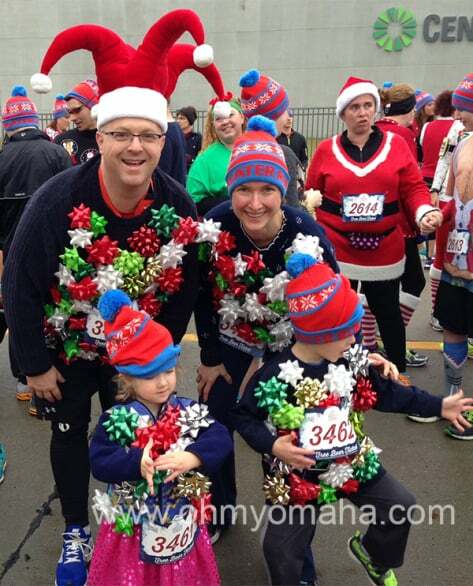 My family ran our first 5K together on Sunday – The Ugly Sweater Run. I use “ran” rather liberally here. 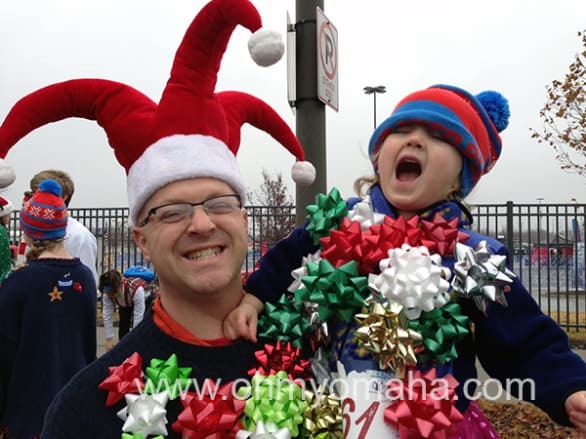 When you sign up a 3- and 5-year-old for a 5K, you have to go in with a certain understanding. PRs aren’t happening. There will likely be pitstops. There may be some piggyback rides. Mooch was happy to be carried by her dad for most of the race. Clearly. We’ll have great memories of the time we dressed up in ridiculous matching sweaters with 150+ bows safety pinned to them. Here we are in all of our holiday glory. We’ll also have photos to embarrass our kids someday. The most important thing is that we’ve shown that physical activity can be fun. And I’ve shown my 5-year-old son what he’s capable of doing. This was his first 5K, and the kid completed the entire run on his own two feet, even running thse last few yards to the finish line. 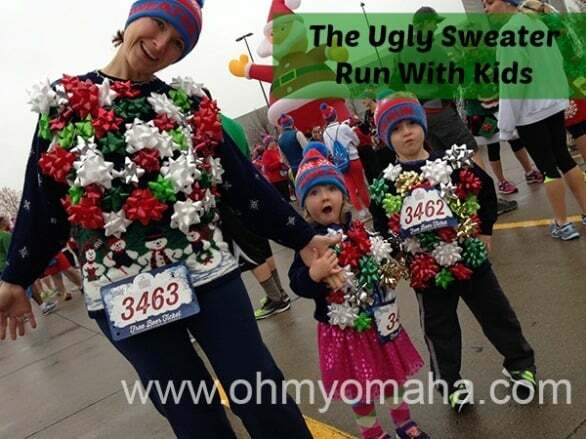 How old do you think kids should be before you sign them up for a fun run or race? Disclaimer: I was comped two race entries in exchange for promoting the race in advance. All opinions are my own.